Happy Friday! It’s our favorite time of the week again, and we’re back today to share some of the best links from around the web. 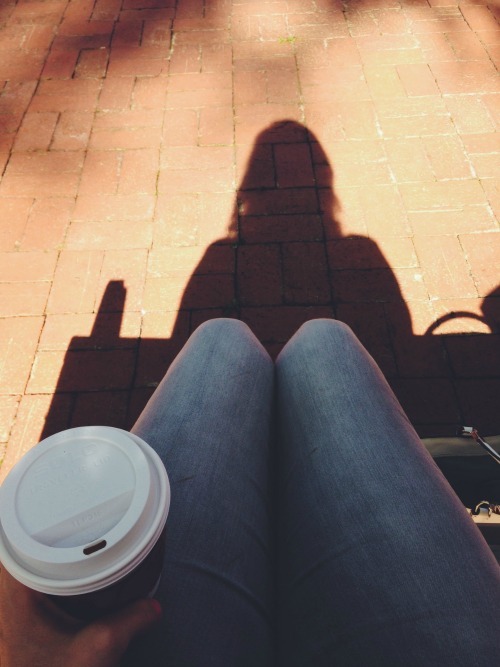 These articles had us laughing, cheering, and nodding our heads like, “Yes, AMEN.” Grab yourself a coffee, sit back, and enjoy. Yes, we already shared this on our Facebook page, but we’re sharing it again because it’s JUST. THAT. GOOD. Because this will never NOT be awesome. Medicaid Is Safe, For Now. Don’t mind us. We’re just happy dancing over here. For every parent who has had to endure yet ANOTHER Chuck E. Cheese party, this just bumped them up a few cool points. It’s that time again! 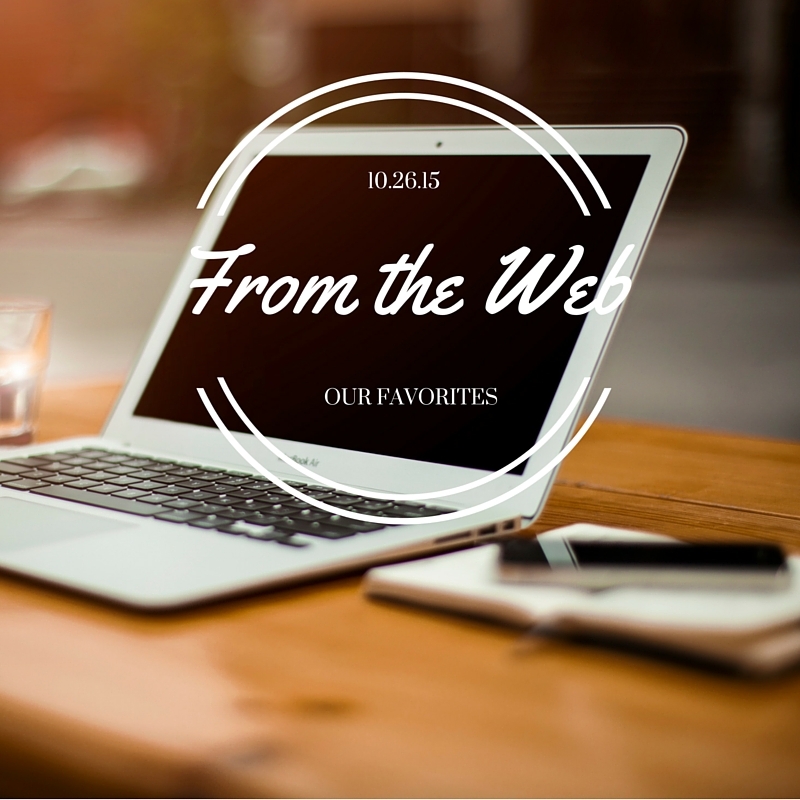 Today, we’re sharing some of our favorite links from all around the web this week. Here’s hoping you enjoy them as much as we did. Well, it’s got OUR vote, anyway. Pope Francis: Doing The Lord’s Work. On Saturday, we hosted our first ever GCRC Christmas Ball at the Sage Cottage & Mountain Inn in Adairsville. What a beautiful venue! And it was all decked out for Christmas, so we spent quite a bit of time taking photos in front of the trees and marveling over the decorations. Close to seventy people attended the event and everyone enjoyed an evening of food, dancing, and, most importantly, lots + lots of laughs. We also sent each attendee home with a special customized ornament to commemorate the night. We’d like to extend a special thanks to the folks at Sage Cottage for hosting us and for making our event such a special one! We appreciate all your hard work. We also want to say thank you to everyone who came out to celebrate with us! We hope you had as much fun as we did. The internet is a never-ending source of entertainment and amusement. It’s also a pretty great place for inspiration and encouragement, if you’re looking in the right places. 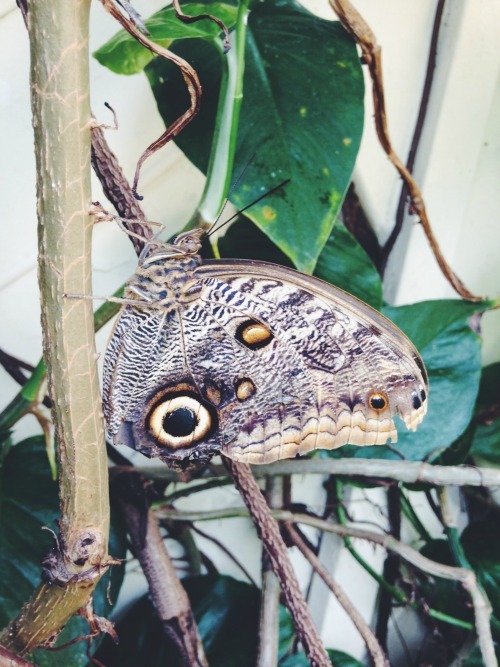 So, to get your week started off right, we’ve gathered up a few of our favorite links from around the internet for your viewing pleasure. Grab your coffee and let’s get to it! #TargetDoesItAgain: Target’s latest Halloween ad features a little girl with disabilities. Hooray for our favorite place to lose all our money! Wanderlust: These two amazing women both have physical disabilities, but that hasn’t stopped them from traveling the world! United Airlines Makes a Mistake…And Does Something About It: A man with cerebral palsy was left without the aisle chair he needed to access the airplane restroom. So he had to crawl there. Thankfully, United Airlines took steps to right their wrong. Cart Fit for a Princess: A grocery store in Colorado ordered an extra-large, forward-facing cart for a little girl with cerebral palsy, and now other stores are joining in. Come Join Us at Our Picnic in the Park! 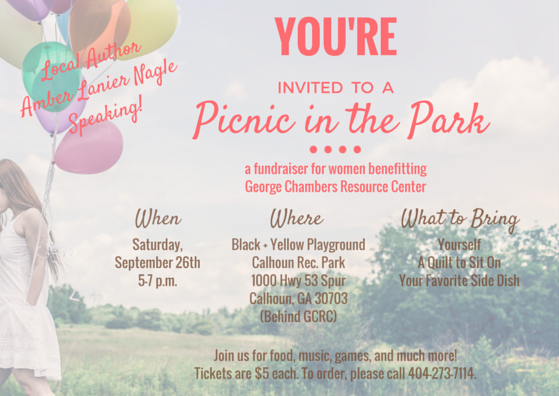 If you’re a woman looking for ways to help support your community, and have a fun night out while doing it, then you’re invited to our Picnic in the Park fundraiser on Saturday, September 26th! As you know, our mission is to help those with disabilities lead fulfilled, independent lives where they can share in community and make a positive impact on the world. Picnic in the Park will help us continue to do the work we’ve been doing so well for over 40 years. Support from the people who partner with our organization has been crucial to our success, so we hope you’ll join us! Local author Amber Lanier Nagle will be speaking at the event, and there will be music, games, and giveaways to enjoy. Tickets are only $5 and every ticket number will be entered into one of the giveaways. The fundraiser is a potluck-style event and attendees are asked to bring a quilt or blanket to sit on, as well as their favorite side dish. We want this to feel less like a fundraiser and more like a get-together among friends. It’s important for us to continually stay connected with the people who help us do what we do. And since Picnic in the Park is a fundraiser hosted specifically for women, it is the first of its kind for us. We love hosting events for families and so many wonderful organizations in our area support us every year. But this time we want to give the women in our community a chance to take a break, enjoy an evening out, and connect with each other. Picnic in the Park will be held from 5-7 p.m. on September 26th at the Black and Yellow Playground behind George Chambers, which is located at 1000 Highway 53 Spur in Calhoun. Tickets are available now and can be purchased by calling 404-273-8114. For more information, please Like us on Facebook! You can also follow us on Twitter + Instagram @GCRCOfficial. A few weeks ago, our agency hosted the Gordon County Chamber of Commerce’s Annual Booster Breakfast. We were honored to be there and speak on behalf of the people we support on a daily basis. And the most amazing part of the event was that, by sharing our mission and, most importantly, our passion for helping individuals with disabilities lead independent lives, our community received an intimate glimpse into what this work is all about. And why it’s so incredibly important. Mary introduced our speaker and GCRC’s Program Services Coordinator, Brandy. Having their leadership has made so much difference for our agency. It’s not an easy thing to stand up in front of a crowd and speak period, much less tell those people why – in so many words – our culture still has a lot of work to do when it comes to embracing individuals with developmental disabilities. But Mary and Brandy did it with grace and class. And it made people take notice. Either way, we are truly grateful for the opportunity to connect with our community and we look forward to all the ways – big and small – in which we can help improve the lives of those we support. Thank you to the Gordon County Chamber of Commerce for allowing us to host this year’s Booster Breakfast. And thank you for all you do in this community! Happy Friday to you! I hope your week has been a good one. 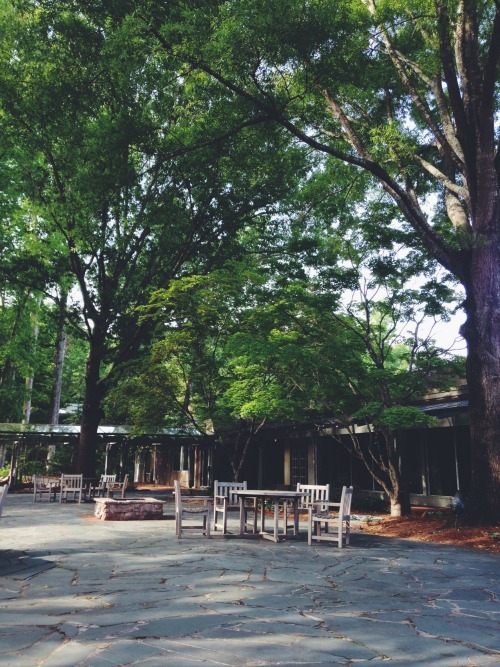 This past Sunday, I traveled with Mary, our CEO, to Callway Gardens in Pine Mountain, GA for the 12th Annual SPADD Conference. It was the perfect time of year to visit such a beautiful, beloved place, and we had a great time. The conference was scheduled for Monday and Tuesday, so when we arrived on Sunday we walked around the Mountain Creek Inn and visited with some of the other attendees. It was a wonderful chance for me to get connected with people who have the same kind of passion we do about supporting individuals with disabilities. It seems like Mary knows just about everyone! 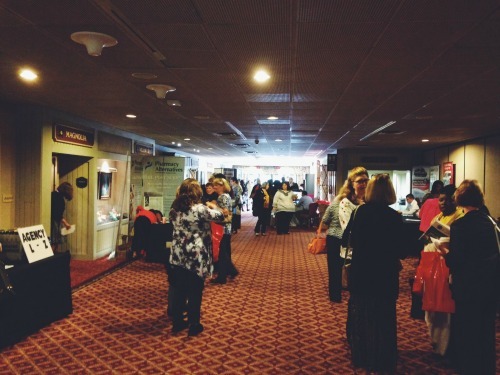 On Monday, we got up bright and early for coffee and breakfast, and then we visited with the vendors, some of whom we’re already working with here at GCRC. Afterwards, Mary and I sat in on the Keynote Session, which was given by Joseph MacBeth. He was passionate about equipping direct support professionals (DSPs) with the tools they need to help individuals with disabilities make their own choices. Which seems like a no-brainer, but, unfortunately, there is still a good deal of ignorance – some of it simply a lack of knowledge and some of it an outright refusal to acknowledge the truth – about what rights these individuals should be given. Or, rather, what rights they inherently have. In other words, it’s not up to us, or to DSPs, to make their choices for them. It’s up to us to help individuals understand information, options, and consequences. And, like in any relationship, we have to trust that the people we care for will choose what is wisest. Mary and I did have a few breaks during the conference where we were able to visit the butterfly garden and the country store. 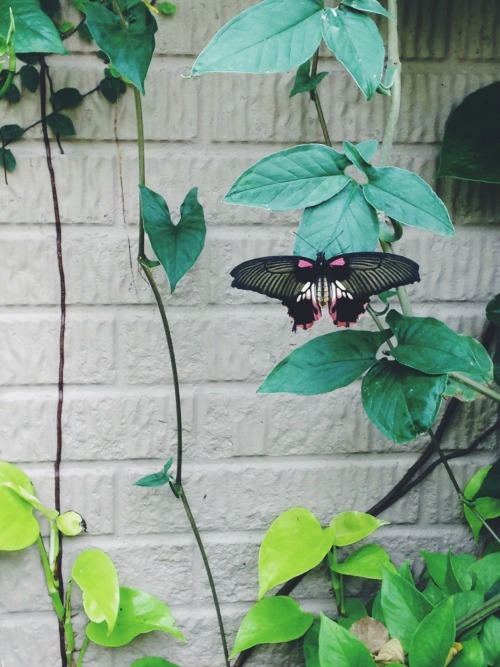 The butterfly garden is absolutely breathtaking! It’s like being in a fairytale. On Monday evening, during the General Session with the DD Services Panel, Mary did what Mary does best: she asked the tough questions. She told the panel that while their words and intentions were appreciated, she wasn’t hearing anything new. Their words were just rhetoric. And then she asked what the panel actually planned to do with the words they spoke. Over the next 24 hours, I lost count of how many people approached her to say thank you for speaking up. 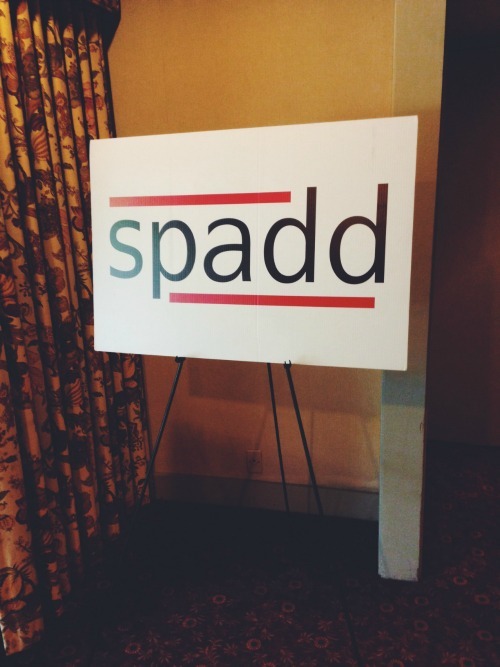 My role this at SPADD was to get connected and serve on a public relations level. But, as always, there is so much more to it than just taking pictures and notes. In the end, SPADD was an opportunity for me to see what it’s like, on a personal level, to support individuals with disabilities long-term, and to experience, by proxy, how frustrating it can be for these organizations to hope for change when their own support is limited. It made me that much more thankful for Mary and for the incredible team we have at GCRC. Until next time, I hope you have a great weekend! See that beauty on the left? It’s her birthday! 🎂🎉🎁 Sarah Stone is our agency’s Supported Employment Specialist and with her passion, humor, and fun-loving energy, great things happen every day at George Chambers! She is such an awesome advocate so please join us in wishing her a very happy birthday! Look at this progress in our garden! We had a ton of helping hands on deck last week as we prepped the grounds for spring 🌸. We can’t wait to see how this all looks in just a few weeks! Happy Monday! We hope you’ve been enjoying these beautiful spring days 🌸.